I thought that it was a nice idea to show you the makeup I use for my everyday makeup look. I’m changing it regular but right now I’m happy with the products I use. And the make-up I use is almost budget proof except 1 product. The most products are from the drugstore. And I love to keep my makeup look neutral except the lips because I love a special lip color. I hope that you love to see what I use for my everyday makeup look. And of course I not wearing this everyday but only when I’m wearing makeup. 😉 So let’s show you! Let’s start with the skin care products. I start with taking care for my lips with the nivea lip butter raspberry rosé. Then it’s time for the yves rocher sebo végétal serum and the pomegranate eye cream from weleda. And last but not least I use the action facial brush to massage the l’oréal hydra genius aloe water into my skin. Time of my basis! For this I use the catrice all matt plus foundation & liquid camouflage concealer. To give some extra glow to my skin I use the essence soo glow cream highlighter. To powder it off I use the essence mattiyfing compact powder. The other powders that I use are the essence blossom dreams blush & highlighter. And of course my favorite bronzer ever from rimmel. We are already to the last products I use… To finish it of I use the lash princess mascara from essence. For my eyebrows I still use the catrice brow pomade stick. And to give the finish look I use the magical lipstick gravity from fenty beauty. This is everything I use at this moment for my everyday make up look. I do my everyday look in less that 10 minutes. And…. this is the result from those 10 minutes work. A big difference! I really love my makeup routine from this moment! 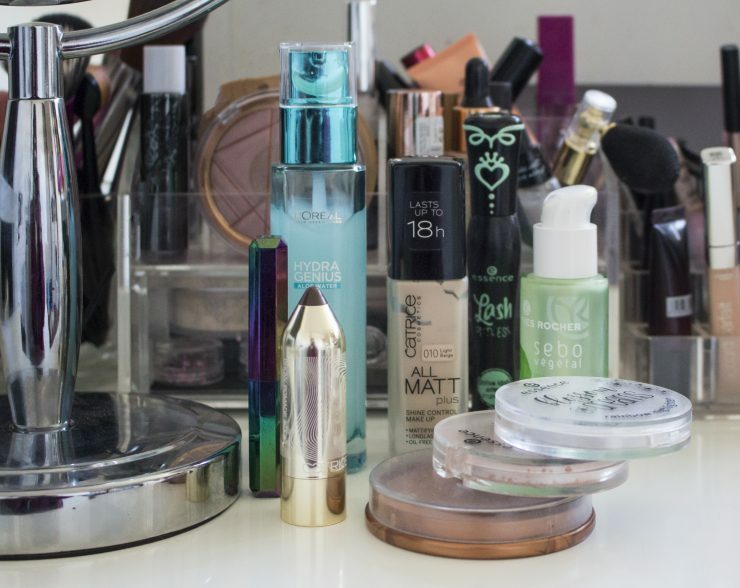 Have you found the perfect makeup routine for yourself? Super leuk om ook zo’n before & after foto naast elkaar te zien! Leuk om te zien! De concealer van Catrice gebruik ik ook. Die wenkbrauw stick moet ik zeker eens proberen want ik vind het resultaat heel mooi.